For all Sky Bet customers. Middlesbrough v Watford – 150/1 Gaston Ramirez to score first and Middlesbrough to win 3-1. Expires 16/10/16 before 13:30. For all Sky Bet customers. Southampton v Burnley – 50/1 Dusan Tadic to score first and Southampton to win 2-1. Expires 16/10/16 before 16:00. For all Sky Bet customers. Liverpool v Manchester Utd – 28/1 Liverpool to win 3-2. Expires 17/10/16 before 20:00. For all Ladbrokes customers. Inter – Cagliari – 8/1 Cagliari to win the game (was 6/1). Expires 16/10/16 before 14:00. For all Ladbrokes customers. Southampton – Burnley – 12/5 Southampton to win both halves (was 2/1). Expires 16/10/16 before 16:00. For all Ladbrokes customers. Villareal – Celta Vigo – 15/2 Celta Vigo to win and 3 more goals in the game (was 6/1). Expires 16/10/16 before 19:45. For all William Hill customers. Liverpool Trophy Multiples – 100/1 Premier League , FA Cup & League Cup. Expires 17/10/16 before 20:00. For all William Hill customers. Man Utd Trophy Multiples – 1000/1 Premier League , FA Cup , League Cup & Europa League. Expires 17/10/16 before 20:00. For all William Hill customers. 200/1 Premier League , FA Cup & League Cup. Expires 17/10/16 before 20:00. This entry was posted in Bookie Offers on 16th October 2016 by Esther Calinawan. For all Sky Bet customers. Crystal Palace v West Ham – 80/1 Michail Antonio to score first and either West Ham to win 2-0 or West Ham to win 3-0. Expires 15/10/16 before 17:30. For all Sky Bet customers. Aston Villa v Wolves – 20/1 Jordan Ayew to score first and either Aston Villa to win 2-0 or Aston Villa to win 2-1. Expires 15/10/16 before 17:30. For all Sky Bet customers. Betis v Real Madrid – 28/1 Cristiano Ronaldo to score first and Real Madrid to win 1-0. Expires 15/10/16 before 19:45. For all Ladbrokes customers. Saturday’s Enhanced Treble – 5/1 Man City, Tottenham and Stoke all to win (was 4/1). Expires 15/10/16 before 15:00. For all Ladbrokes customers. Crystal Palace – West Ham – 3/1 Crystal Palace to win and Both teams to score (was 11/4). Expires 15/10/16 before 17:30. For all Ladbrokes customers. Real Betis – Real Madrid – 11/2 G. Bale to score 2 or more goals (was 9/2). Expires 15/10/16 before 19:45. For all William Hill customers. Mythical Match Specials – 6/4 Wolves to score more than West Brom. Expires 15/10/16 before 15:00. For all William Hill customers. Mythical Match Specials – 4/6 Newcastle to score more than SunderlandNewcastle to score more than Sunderland. Expires 15/10/16 before 15:00. For all William Hill customers. Mythical Match Specials – 8/11 Arsenal to score more than Tottenham. Expires 15/10/16 before 15:00. This entry was posted in Bookie Offers on 15th October 2016 by Esther Calinawan. For all Sky Bet customers. Crystal Palace v West Ham – 100/1 Yohan Cabaye to score first and Crystal Palace to win 3-1. Expires 15/10/16 before 17:30. For all Sky Bet customers. Chelsea v Leicester – 50/1 David Luiz to score first and either Chelsea to win 1-0 or Chelsea to win 2-1. Expires 15/10/16 before 12:30. For all Ladbrokes customers. B. Dortmund – Hertha Berlin – 5/1 B Dortmund to win by 4 or more goals (was 4/1). Expires 14/10/16 before 19:45. For all Ladbrokes customers. Inverness – Rangers – 9/2 Inverness to score in both halves (was 7/2). Expires 14/10/16 before 19:45. For all Ladbrokes customers. Las Palmas – Espanyol – 9/4 4 or more goals in the game (was 15/8). Expires 14/10/16 before 19:45. For all William Hill customers. Next Premier League Manager To Leave – 5/2 Antonio Conte. Expires 14/10/16 before 22:00. For all William Hill customers. Next Premier League Manager To Leave – 5/1 David Moyes. Expires 14/10/16 before 22:00. For all William Hill customers. Next Premier League Manager To Leave – 7/1 Slaven Bilic. Expires 14/10/16 before 22:00. This entry was posted in Bookie Offers on 14th October 2016 by Esther Calinawan. For all Sky Bet customers. Slovenia v England – 45/1 Roman Bezjak to score first and either Draw 1-1 or Slovenia to win 2-1. Expires 11/10/16 before 19:45. For all Sky Bet customers. Germany v Northern Ireland – 66/1 Northern Ireland to win 1-0. Expires 11/10/16 before 19:45. For all Sky Bet customers. Slovakia v Scotland – 75/1 Oliver Burke to score first and either Scotland to win 2-1 or Scotland to win 3-1. Expires 11/10/16 before 19:45. For all Ladbrokes customers. Kazakhstan – Romania – 9/4 Kazakhstan to score first (was 15/8). Expires 11/10/16 before 17:00. For all Ladbrokes customers. Germany – N. Ireland – 10/1 Jamie Ward to score anytime (was 8/1). Expires 11/10/16 before 19:45. For all Ladbrokes customers. Slovenia- England – 4/1 England to win both halves (was 10/3). Expires 11/10/16 before 19:45. For all William Hill customers. Next Permanent Aston Villa Manager – 40/1 Tony Mowbray. Expires 11/10/16 before 22:00. For all William Hill customers. Next Premier League Manager To Leave – 50/1 Claudio Ranieri . Expires 11/10/16 before 22:00. For all William Hill customers. Next Permanent England Manager – 50/1 Tony Pulis. Expires 11/10/16 before 22:00. This entry was posted in Bookie Offers on 11th October 2016 by Esther Calinawan. For all Sky Bet customers. Faroe Islands v Portugal – 14/1 Draw 1-1. Expires 10/10/16 before 19:45. For all Sky Bet customers. Faroe Islands v Portugal – 13/2 Portugal to score 5 or more. Expires 10/10/16 before 19:45. For all Sky Bet customers. Netherlands v France – 25/1 France to win 3-0. Expires 10/10/16 before 19:45. For all Ladbrokes customers. Bosnia-Herz. – Cyprus – 9/2 Edin Dzeko to score 2 or more goals (was 7/2). Expires 10/10/16 before 19:45. For all Ladbrokes customers. Gibraltar – Belgium – 14/1 Gibraltar to score first (was 10/1). Expires 10/10/16 before 19:45. For all Ladbrokes customers. 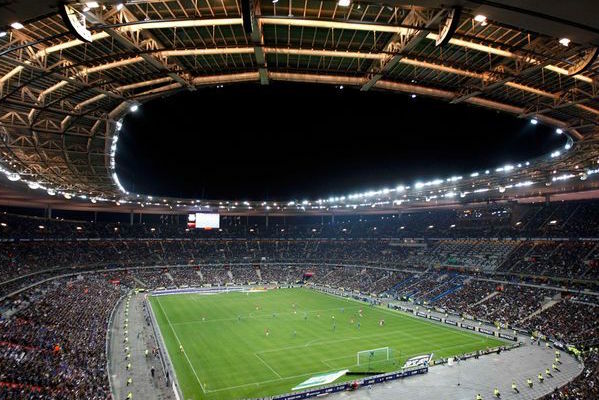 Netherlands – France – 16/5 Both teams to score in the 2nd half (was 12/5). Expires 10/10/16 before 19:45. For all William Hill customers. Next Permanent Aston Villa Manager – 50/1 David Moyes. Expires 10/10/16 before 22:00. For all William Hill customers. 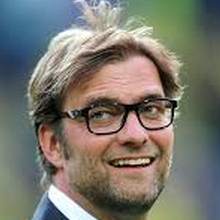 Next Premier League Manager To Leave – 80/1 Jurgen Klopp. Expires 10/10/16 before 22:00. For all William Hill customers. Next Permanent England Manager – 40/1 Vicente Del Bosque . Expires 10/10/16 before 22:00. This entry was posted in Bookie Offers on 10th October 2016 by Esther Calinawan. Odds correct at time of publishing and may be subject to change. For all Sky Bet customers. Wales v Georgia – 45/1 Georgia to win 2-1. Expires 9/10/16 before 17:00. For all Sky Bet customers. Wales v Georgia – 22/1 Levan Mchedlidze to score first. Expires 9/10/16 before 17:00. For all Sky Bet customers. MK Dons v Port Vale – 66/1 Sam Foley to score first and either Port Vale to win 1-0 or Port Vale to win 2-0. Expires 9/10/16 before 14:!5. For all Ladbrokes customers. MK Dons – Port Vale – 2/1 Alex Jones to score anytime (was 13/8). Expires 9/10/16 before 14:15. For all Ladbrokes customers. International Banker – 7/4 Croatia, Israel, Ukraine and Wales all to win (was 6/4). Expires 9/10/16 before 17:00. For all Ladbrokes customers. Wales – Georgia – 8/1 Georgia to score 2 or more goals (was 6/1). Expires 9/10/16 before 17:00. For all William Hill customers. Next Permanent Aston Villa Manager – 50/1 Gary Rowett. Expires 9/10/16 before 22:00. For all William Hill customers. Next Premier League Manager To Leave – 80/1 Mauricio Pochettino . Expires 9/10/16 before 22:00. For all William Hill customers. Next Permanent England Manager – 50/1 Alex Ferguson. Expires 9/10/16 before 22:00. This entry was posted in Bookie Offers on 9th October 2016 by Esther Calinawan. For all Sky Bet customers. England v Malta – 25/1 Theo Walcott to score first and England to win 4-0. Expires 8/10/16 before 17:00. For all Sky Bet customers. Scotland v Lithuania – 33/1 Lithuania to win 2-1. Expires 8/10/16 before 19:45. This entry was posted in Horse Racing Betting Apps on 8th October 2016 by Betmeister. For all Sky Bet customers. MK Dons v Port Vale – 66/1 Sam Foley to score first and either Port Vale to win 1-0 or Port Vale to win 2-0. Expires 9/10/16 before 14:15. For all Ladbrokes customers. League 1 Treble – 6/1 Bradford, Gillingham and Rochdale all to win (was 5/1). Expires 8/10/16 before 15:00. For all Ladbrokes customers. England – Malta – 4/1 Gary Cahill to score anytime (was 11/4). Expires 8/10/16 before 17:00. For all Ladbrokes customers. International Fourfold – 6/1 England, Montenegro, Norway and Romania all to win (was 5/1). Expires 8/10/16 before 17:00. For all William Hill customers. England Specials – How Many Points will England get from the next 3 Qualifiers? – 100/1 2pts or less. Expires 8/10/16 before 17:00. For all William Hill customers. England Specials – How Many Points will England get from the next 3 Qualifiers? – 12/5 5-6pts. Expires 8/10/16 before 17:00. For all William Hill customers. 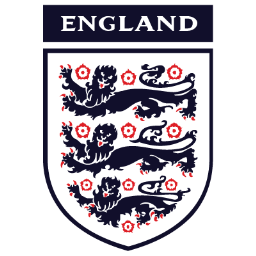 England Specials – 1/2 England to appoint a permanent manager before the 1st January 2017. Expires 8/10/16 before 17:00. We publish value betting odds from multiple bookmakers on a regular basis. Best of luck with your betting selections for today. You can also get all of these odds boost on the BookieBoost app. This entry was posted in Bookie Offers on 8th October 2016 by Esther Calinawan. For new Paddy Power customers – Belgium to beat Bosnia-Herzegovina at 4/1 odds. Max bet £/€10. Winnings paid in free bets. Expires 7/10/16 before 19:45. For new Paddy Power customers. Get 5/1 on Scotland to beat Lithuania. Max bet £/€10 and winnings paid in free bets.Expires 8/10/16 before 19:45. For new Paddy Power customers, get 3/1 on England to beat Malta. Max bet £10 and winnings paid in free bets. Offer ends 17:00 Saturday 8/10/2016. For all Sky Bet customers. Belgium v Bosnia – 25/1 Yannick Ferreira Carrasco to score first and either Belgium to win 1-0 or Belgium to win 2-1. Expires 7/10/16 before 19:45. For all Sky Bet customers. France v Bulgaria – 25/1 Antoine Griezmann to score first and France to win 1-0. Expires 7/10/16 before 19:45. For all Sky Bet customers. England v Malta – 33/1 Jordan Henderson to score first and either England to win 2-0 or England to win 3-0. Expires 8/10/16 before 17:00. For all Ladbrokes customers. Belgium – Bosnia Herz. – 10/1 Eden Hazard to score 2 or more goals (was 8/1). Expires 7/10/16 before 19:45. For all Ladbrokes customers. France – Bulgaria – 6/1 Bulgaria to score first. Expires 7/10/16 before 19:45. For all Ladbrokes customers. Holland – Belarus – 9/2 Vincent Janssen to score 2 or more goals (was 7/2). Expires 7/10/16 before 19:45. For all William Hill customers. Man City Trophy Multiples – 250/1 Premier League , FA Cup , League Cup & Champions League. Expires 15/10/16 before 12:30. For all William Hill customers. Arsenal Trophy Multiples – 1500/1 Premier League , FA Cup , League Cup & Champions League. Expires 15/10/16 before 12:30. For all William Hill customers. Chelsea Trophy Multiples – 66/1 Premier League & FA Cup. Expires 15/10/16 before 12:30. This entry was posted in Bookie Offers on 7th October 2016 by Esther Calinawan. For all Ladbrokes customers. New York Giants at Minnesota Vikings – 8/1 Stefon Diggs to score the 1st TD (was 7/1) . Expires 4/10/16 before 01:30. For all Ladbrokes customers. New York Giants at Minnesota Vikings – 4/1 Minnesota Vikings to win by 1-6 points (was 7/2). Expires 4/10/16 before 01:30. For all Ladbrokes customers. New York Giants at Minnesota Vikings – 10/1 Odell Beckham Jr to score the last TD (was 8/1). Expires 4/10/16 before 01:30. For all William Hill customers. Euro Football Multi – 6/1 Stuttgart, Le Havre & Carpi All To Win (was 11/2 ). Expires 3/10/16 before 19:15. For all William Hill customers. First Premier League Manager To Leave – 100/1 Jurgen Klopp. Expires 3/10/16 before 22:00. For all William Hill customers. Next Permanent England Manager – 50/1 Phillip Neville. Expires 3/10/16 before 22:00. This entry was posted in Bookie Offers on 2nd October 2016 by Esther Calinawan. Ajax lost Frank de Boer in the summer and the Dutch giants have struggled to replace him at the helm. Following De Boer’s departure, former Feyenoord technical director Peter Bosz was appointed as Ajax boss but his honeymoon period has been anything but successful. In fact, they were humiliated by FC Rostov in their Champions League qualifier and it is hard to imagine them bouncing back in the near future. FT Ajax miss out on the Champions League group stage. Humiliated by Rostov. 5-2 on aggregate. Meanwhile, PSV are on the rise and it wouldn’t be a huge surprise to see Eindhoven dominate the Eredivisie for the foreseeable future. Phillip Cocu has the club’s best interests at heart and has impressed during his time as head coach. Whilst PSV have lost a number of talented stars in recent times – Memphis Depay being the main one – they have managed to keep a sense of pride and team spirit in the dressing room. At the time of writing, Cocu’s men are priced at 4/6 to win the title in Betway’s betting odds on their Dutch website. The defending champions are certainly looking strong after a couple of impressive performances early on in the season and Ajax will have to be at their very best to stand any chance of pipping PSV to the crown. After all, PSV have the continuity, the experience and the nous to retain their title for the third year in a row. The lack of competition says a lot about the state of Dutch football. Holland were a major force in world football just a few decades ago but they are in a sorry mess right now. Guus Hiddink was dismissed after failing to lead The Netherlands to Euro 2016 and many will be expecting a positive backlash as they look to reach the 2018 World Cup in Russia – however, they face a very tough qualifying pool and Holland will have to be much improved. Who knows, Ajax could improve and give PSV a stern test but it isn’t looking very likely right now. The Dutch giants are still way ahead of their other opponents but once again, the Eredivisie is a two-horse race; and one of those horses is looking strong whilst the other is very weak. PSV aren’t able to put up a stern fight in the Champions League but they are more than capable of defending their domestic crown without too much bother. PSV needed all 38 matches to retain the title last season but Eindhoven look set to secure the crown in advance this time around. Ajax are getting worse whilst PSV are improving and that is why the champions will win a third successive crown. Barring a major change in fortune, PSV Eindhoven will close the gap at the top of Dutch football and continue to assert their dominance in recent times; they are just too consistent for Ajax to handle. This entry was posted in Football Betting on 26th August 2016 by Betmeister. If you’re a fan of lotteries but can’t bear the thought of choosing random numbers, waiting in line at your local store and handing over cash to an incredulous shop assistant, then fear not because there is a different way. Thanks to the number lovers at Lottoland, you can now play dozens of lotteries worth millions every week directly from your smartphone. Boasting a swipeable interface that gives you full account access, game histories, automatic win notifications and special mobile offers, the Lottoland app is the neatest way to ante up on the go. Why go to the trouble of downloading an iOS or Android app when you can play your local lottery like you always have, you may ask? Well, unlike traditional lottery gaming, Lottoland allows you to bet on lotteries rather than invest in them directly. Because the site uses an insurance model to cover wins, you can win just as much through Lottoland as you would in a normal game but without the restrictions. Indeed, it used to be the case that if you wanted to play the US PowerBall, a lottery known for paying out $50 million+ jackpots, you needed to fly to the USA and physically purchase a ticket. Today, you can simply download the Lottoland iOS app or Android app and pay the standard entry fee. Essentially, Lottoland’s mobile app gives you the freedom to play more lotteries and win more money whenever and wherever you want. What’s more, because this app contains features such as “quick picks”, syndicate betting and knowledge centre so you can brush up on your skills, it’s a whole more entertaining than playing live. Naturally, just as the Lottoland mobile app is more efficient than its live gaming counterpart, it’s also more lucrative. Regardless of whether it’s day or night, you can claim your own free lotto bet by clicking here. Try For Free – Get your first line free on any lottery (excluding the El Gordo Spanish Christmas Lottery). BOGOF – Buy one get one free on EuroMillions draws (pay £2 for 2 lines instead of £4). Win Your Money Back – Scoop a win on your first lottery and Lottoland will refund the entry fee in the form of a bonus. 15% Savings – Get a 15% reduction on the cost of various lotteries, including: US MegaMillions, EuroMillions, PowerBall and the Irish Lotto. Playing the lottery has never been easier or more potentially profitable thanks to Lottoland. If you enjoy lotteries, own an Android or iOS device and want access to more games, more offers and more ways to win, then Lottoland is a fantastic app to download. This entry was posted in Betting Apps on 18th August 2016 by Betmeister. With the new football season finally underway, bettors can get back into the habit of predicting outcomes or first goal scorers, building accumulators, and winning money. Those who didn’t enjoy great returns last time out will want to begin this season with a bang, so it is important to prepare properly. Along with your preferred bookmakers, here are a few other useful apps that you could consider installing. They will stand you in good stead for when it comes to placing bets. The BBC sport app is perfect for giving you a strong and detailed overview of all the leagues you want to bet on. You can make selections based on your preferences, and receive news geared towards you. This can be particularly useful when you want to get quick information about other leagues. 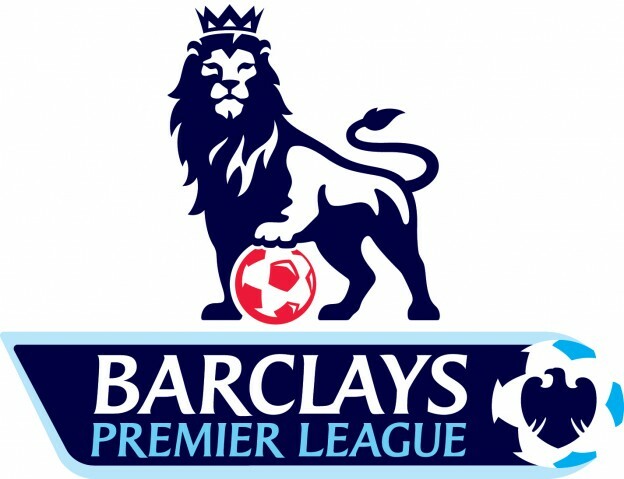 If you are based in England, chances are that most of the news you will hear on TV is about the Premier League. With the BBC app you can get information about the Bundesliga, Ligue 1, La Liga, and other top flights. A quick exploration of the apps pages will give you detailed reports about Real Madrid’s starting line-up, for example, which is something that could be useful when selecting who to bet on, such as first goal scorer in the La Liga betting. The app provides up to date news and analysis, along with fixture lists, results, and injury developments. This free app is for bettors that want to guide their decisions based on detailed stats. It goes beyond the usual facts about which players scored or picked up an assist, and shows detailed data about pass completion, chances created, touches in the final third, and total shots per game. This can put you at a distinct advantage when trying to guess the correct score line. Hypothetically, if you can see that Arsenal had a total of 20 goal scoring opportunities in the last game and 40% of their shots were on target, you may wager that their attackers are gearing up for an onslaught on the next team they face. Weighing this data up with stats regarding the opposition’s defence could help you make a more informed decision than you would without such information. Once you’ve gathered all the intelligence you can garner about the players and teams, and have made your betting selections, you probably want to watch the game to find out if you have been successful. Sky Go allows users to watch live matches while on the move, so no matter what you are doing you don’t miss out on a second of the action. This means you can now go about your daily business, and run errands while also watching the football. If you want to place an in-play bet you can just minimise the app, put your bet on, and then reopen the app later to see if you have won. So, if you are looking for ways to improve your chances of winning as well as generally enhance your football experience, check out these app downloads. This entry was posted in Football Betting on 17th August 2016 by Betmeister. If you were shipwrecked on a desert island over the past month or so, you might’ve missed the big name transfers & astronomical transfer fees exchanging hands over the summer. Not only have we got these top footballers joining the league but we have European football’s most iconic managers taking charge of some of the league’s biggest teams, as they attempt to apply their trade to the world’s most competitive top flight division. Jose Mourinho’s drawn-out arrival at Manchester United is one such headline that has captured the spotlight (as he may have wanted), along with his signings of Ibrahimović, Pogba, Mkhitaryan and Bailly. All in all, this has resulted in the Premier League’s most crowned team being touted as 2nd favourites for the title at 10/3 (4.33) with bet365, despite their 5th place finish under Van Gaal last season. 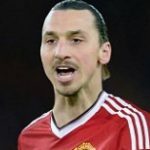 Ibra has a reputation for scoring goals wherever he goes, and it seems as though his transfer to United is not expected to be any different as the Swede is 9/1 (10.00) and 3rd favourite to be Top Goal scorer. More on that market below. The blue side of Manchester are outgunning their arch-rivals in the To Win Outright markets despite the big spending this summer however! Pep Guardiola, no stranger to his counterpart Mourinho of course, has taken charge of the 2013/14 Premier League winners Manchester City and like United, not only have they got a new and successful manager but they’ve also had an influx of big name players – Gundogan, Nolito, Sane, Stones and Zinchenko! The Cityzens are favourites for the Premier League title at 5/2 (3.50) with bet365 and Guardiola is clearly more than capable to guide them to their 3rd Premier League title! He’ll look to his main man Sergio Aguero to fire his side to the title, with the Argentine favourite for the Top Goal scorer title at 10/3 (4.33). Some would say that Mourinho’s former side Chelsea have been flying well below the radar in the build up to this year’s campaign following a disastrous 2015/16 season which saw them finish in 10th position. This does of course mean that there’s no European football for their forthcoming campaign and this does supply a big advantage in light of the reduced fixture list. Hazard had a season to forget but it seemed that as soon as Mourinho exited the club, he found his form again and following some impressive performances at Euro 16’ with Belgium – he could well shine under new manager Antonio Conte. Hazard is 40/1 (41.00) to be top goal scorer and the Blues are 11/2 (6.50) for the Premier League title. Also, Chelsea are 13/8 (2.62) to be Top London Club at bet365, and following their exciting acquisitions of Premier League title winner N’Golo Kante and hot prospect Batshuayi; this could host some real value against their London rivals. One further team that have made drastic changes this summer is Liverpool under Jürgen Klopp. The German did,of course, join Liverpool mid-way through last season’s campaign and only now is he having his influence on squad additions after guiding Liverpool to an 8th spot finish and 2 major yet unsuccessful finals with the Europa League and Capital One Cup. Over 12 players have now left the club to generate transfer funds that have been spent on new acquisitions such as Mane, Wijnaldum, Klarius, Klavan and Matip. Mane and Wijnaldum were both amongst the league’s top 5 goal scoring midfielder’s in the 2015/16 campaign so it’s clear to see that Klopp aims to add goals to his new-look side. Liverpool are very much outsiders for the title despite the big changes – 9/1 (10.00) with bet365 but like Chelsea, they have the benefit of a reduced fixture list with no European football this year. The last time this happened, they went so very close to claiming their first Premier League title in 25 years, with Suarez and Sturridge scoring for fun. And who could forget about the English Champions, Leicester City. It’s fair to say that their 2015/16 campaign was a true inspiration and most likely a ‘once in a lifetime’ occurrence at 5000/1 but it was loved by football fans from across the globe. The reality has now settled in and Leicester City will be in the Champions League and are 100/1 (101.00) to win it unbelievably. They have of course lost their star midfielder Kante to Chelsea but have kept hold of key striker Jamie Vardy, whom is 16/1 (17.00) to be Top Scorer at bet365, and also 2015/16’s PFA Player of the Year Riyad Mahrez. The Foxes are a seemingly-withdrawn 28/1 (29.00) to retain their Premier League title but could well struggle with the burden of Champions League football expanding their fixture list. In recent years, the Premier League newcomers have put up a great challenge and this has seen sides such as Watford and Swansea flourish, whilst Premier League regulars Newcastle and Aston Villa drop down into the Championship. This year’s promoted teams will of course be hoping to put up a solid fight of their own, and with Middlesbrough spending well in the summer on players such as Negredo and Valdes – they’re 4/5 (1.80) to be Top Newcomer, and 8/1 (9.00) To Finish in the Top Half of the league. Swansea, on the other hand, could be in for trouble ahead since they’ve now sold club captain Ashley Williams and key goal-threat Andre Ayew, they are 3/1 (4.00) to be relegated. These odds were taken from bet365 today at 15:00 BST and of course will change marginally as the days wear on. Not long to go now – here’s to another cracking season full of surprises and great football. This entry was posted in Football Betting on 10th August 2016 by Betmeister. The International Champions Cup final stages are approaching with Barcelona v Leicester live stream action available from bookmaker bet365. For UK and Irish audiences, the Barcelona v Leicester live stream can be accessed by logging on to a funded bet365 account. So, if you already have an account, just press on the link below and watch the game live for free. If you don’t have an account with bet365 yet, you can also sign up and claim up to £200 in deposit bonuses. If you’re looking for a Barcelona v Leicester live stream for your mobile device, you can still get this via bet365 for Android or bet365 for iPhone. In this intriguing pre-season tournament, reigning Spanish Champions Barcelona and Premier League winners Leicester City meet for the first ever time in the International Champions Cup (Wednesday 8pm). The highly anticipated match takes place at a neutral venue – in Stockholm, Sweden. Regular Spanish Champions Barca have amassed no less than 25 La Liga titles, whilst the Foxes have just stunned everyone (even themselves) by earning a place in this tournament after being crowned Champions. Wouldn’t we like to see them take it right to the Nou Camp outfit. Jamie Vardy has been ruled out of the match but surely some of the Barcelona stars will be rested. The Catalan giants started off their first pre-season match against Scottish Champions Celtic, beating them 3-0. English League Champions Leicester City played also beat Celtic in a penalty shootout, but were thrashed 4-0 by Zlatan-less PSG, the French Champions. Joel Masip; Sergi Roberto, Jeremy Mathieu, Douglas Pereira, Aleix Vidal; Arda Turan, Sergi Samper; Denis Suarez, Lionel Messi, Luis Suarez, Christian Tello. This entry was posted in Bookie Offers, Live Streaming and tagged Barcelona Live Stream, International Champions Cup, Leicester City Live Stream on 1st August 2016 by Betmeister. Following some shock Euro 2016 results in the group stages, there are no less than five former World Champions on one side of the draw. England and Spain have both will both be regretting not being able to finish top of their groups. These teams gave have now drifted in the betting to Win Outright, with bet365 now pricing Spain at 11/2 (6.50) and England at 10/1 (11.0). Both of these prices have appeal though, especially given the insurance of the Penalty Payback promotion, which guarantees that if the team you back to win Euro 2016 is eliminated on penalties bet365 will refund your losing bet (terms and conditions apply). Other teams heading the To Win Outright market include tournament hosts France at 4/1 (5.0), Germany at 9/2 (5.50), Belgium at 6/1 (7.0) and Croatia at 7/1 (8.0). The last 16 draw has produced some really fascinating clashes and on Saturday we have the Swiss against the Polish to get things started, followed by an all-British clash when Wales and Northern Ireland meet before Croatia try to overcome Portugal in the evening. All of these games could realistically go either way, with no team from the three fixtures currently priced at odds-on to win in 90 minutes. Sunday’s action looks to be more predictable, with France up first against Republic of Ireland, Germany then facing Slovakia and finally Belgium up against Hungary. On Monday we have the tie of the round as Italy take on Spain, and that’s followed by England’s game against Iceland to round things off. A treble on Wales, Croatia and Belgium all to win in 90 minutes is priced at 7.74/1 (8.74), and looks a solid bet. So far the Euro 2016 tournament has seen tightly-contested games and with the pressure increasing as we reach the knockout stage that’s unlikely to change. bet365 have reportedly already refunded £6m to customers from the four goalless matches in the group stages through the Bore Draw Money Back offer, which refunds all losing pre-match bets on selected markets. For the knockout stages this means you can back the likes of Welsh wizard Gareth Bale to score first against Northern Ireland at 3/1 (4.0), West Ham forward Dimitri Payet to score first against Republic of Ireland at 5/1 (6.0). Another interesting one is Cristiano Ronaldo to score first against Croatia at 15/4 (4.75), safe in the knowledge that your bet will be refunded if the game finishes goalless after 90 minutes. There are also some very good things happening at William Hill for the Euros. Check out their app here. This entry was posted in Bookie Offers, Football Betting on 24th June 2016 by Betmeister. Here are two offers worth keeping in mind for the remainder of the Euro 2016 tournament from bet365. These are available across all web and mobile (Android, iPhone et al) channels. Euro 2016 Penalty Payback – Get your money back if your team is eliminated on penalties. These offers seem to bring some sense of ‘fairness’ to betting! Good luck with whoever you are backing at Euro 2016. This entry was posted in Bookie Offers, Football Betting on 21st June 2016 by Betmeister. Stoke City will be playing at the bet365 Stadium for their Premier League matches from the start of the new 2016/17 season. The Potters have signed a six-year naming rights deal with the sports betting brand, whose bosses have owned the club for more than a decade. Fans and commentators will have to get used to referring to the ground as ‘bet365 Stadium’ rather than the ‘Britannia Stadium’ and also a new look. It will be expanded to a capacity of over 30,000 seats in time for the new season. That’s an additional 1,800 seats that are being added to one of the corners of the ground of the bet365 Stadium. The developments on the expansion will mean that the area between the DPD and Marston’s Pedigree Stands will be filled in by builders. The selling of naming rights on football grounds has become a worldwide trend as clubs try to maximise the limited amount of ways that a club can generate money to try and keep with the chasing pack. Stoke’s continuing partnership with the bet365 sees an additional extension of their shirt sponsorship agreement to three more years. More money in the coffers for the Potters there, too. Bet365 have been extremely successful with the growth of online sports betting during the last decade. 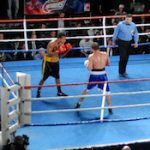 The introduction of mobile betting on Android and iPhone Devices has certainly extended the company’s reach. Other notable clubs who don’t have naming rights at their home grounds (yet) include Tottenham Hotspur’s White Hart Lane, Manchester United’s Old Trafford, Liverpool’s Anfield and Chelsea’s Stamford Bridge. With ground moves for Spurs and Chelsea afoot, this is likely to change, though. In fact, Tottenham have already shown images of their new stadium with a “Naming Rights” placeholder. It makes a lot of sense for football clubs to do this, despite meaning that the traditional name of their home is sometimes lost. With the name change of the Britannia Stadium to the bet365 Stadium, Stoke have joined fellow Premier League clubs including Leicester City (King Power) Arsenal (Emirates), Manchester City (Etihad), Bournemouth (Vitality) in having one of their club’s main sponsors adorn the name of their home ground. Bet365 is a local Stoke company and the Coates family have a long association with the club. Realistically, the Potters very likely would not be in the lofty position that they find themselves today without such support. John Coates, who is the joint chief executive of bet365 is also vice-chairman of Stoke City. The previous sponsors of the newly renamed bet365 Stadium were Britannia but this is now no longer a brand since being taken over by the Co-operative Bank. Their ground sponsorship deal lasted for almost 20 years. Scholes said that the club felt that the ‘time was right’ to redevelop the corner of the ground between the DPD and Marston’s Pedigree Stands after long having the planning permission approved. The Stoke-on-Trent success story of bet365 is the city’s largest private sector employer with around 3,000 employees. The Potters will be hoping that this timely boost in their revenue will help them to push higher up the Premier League table. This entry was posted in Football Betting on 7th June 2016 by Betmeister.